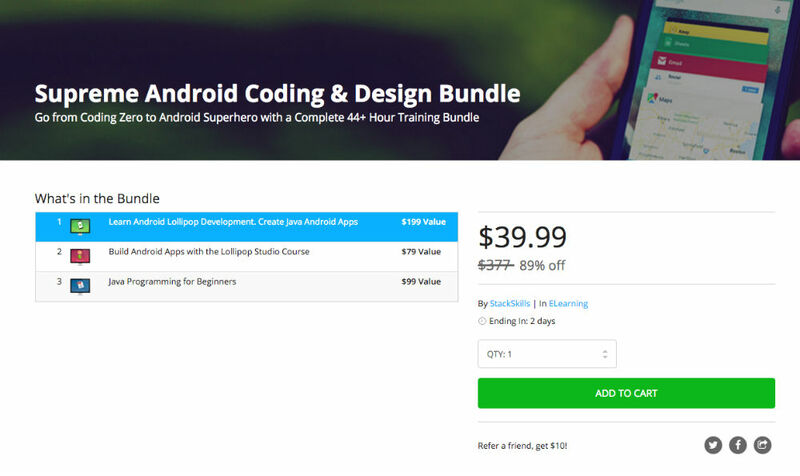 Currently on the DL Deals Store, you can pick up the Supreme Android Coding and Design bundle for just $39.99, down from its listed price of $377. The bundle contains three parts – Learn Android Lollipop Development, Build Android Apps With Lollipop, and Java Programming for Beginners. With all three, you should go from zero experience and knowledge to being able to build your very own Android applications. Inside this bundle, those who purchase will receive over 200 lectures on topics regarding Java Android app creation, Lollipop development, learning the best tools and practices to maximize efficiency, and setting up a virtual device for development. In addition, an entire program on learning Java programming is also included. Listed below are the features of the Android “Lollipop” Studio course.